If you’re currently facing criminal charges in Holmes County or fear you may soon be, seek out the advice of an experienced criminal attorney. This can be an incredibly stressful time in your life, especially if this is your first offense for a misdemeanor or felony. The counsel of an experienced criminal attorney can help you determine the strengths of your case and the most favorable options to pursue. Options may include fighting for dismissed charges, not guilty verdicts, deferred adjudication, and other positive outcomes. Whether you are facing a misdemeanor probation violation in Ponce de Leon or a felony assault charge, it’s critical to understand all of your legal options and consult with an experienced defense attorney. Obtaining the services of an attorney quickly can help you gather time-sensitive evidence and build a strong case for your defense. Contact Pumphrey Law for more information and a free consultation. With over a decade of experience representing men, women, and juveniles charged with crimes in the Florida Panhandle, Don Pumphrey, Jr. is a courtroom veteran. Additionally, his experience as a former law enforcement officer and assistant state attorney can prove invaluable in anticipating strategies used by the opposing side. 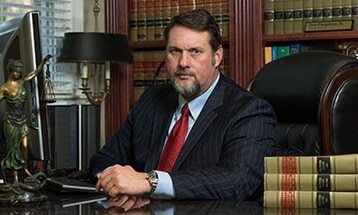 His understanding of prosecution techniques and weakness, as well as a keen knowledge of Florida criminal law, can be an asset during this critical time in your life. As a DUI Attorney or Holmes County, Don Pumphrey, Jr., has first-hand knowledge of the science behind the most-used pieces of evidence by the prosecution in drunk driving and drugged driving cases. Science is never perfect, and weaknesses in the primary piece of evidence against you can help present sufficient reasonable doubt in the prosecution’s case, even if you tested above the legal alcohol limit. If this is your first DUI, you should take every precaution to ensure that this offense does not create a criminal record an impact potential employment options. If you have been charged with a criminal offense, including a drug arrest in Bonifay, Ponce de Leon, Esto, Noma, or Westville, Pumphrey Law can represent your case to help you get your charges reduced or even dropped. Call (850) 681-7777 to schedule your free consultation today. The Holmes County Clerk’s Office is responsible for overseeing various departments that deal with the Circuit and County court systems. Additionally, the Clerk is responsible for maintaining public court records and processing certain public licenses. The Public Defender’s office diligently provides legal representation to court appointed clients who cannot otherwise afford legal representation. The presiding judge of a case will appoint a public defender to the defendant. The mission of the Holmes County Sheriff’s Office is to maintain and improve the community by working with all citizens to preserve life, maintain human rights, protect property, promote individual responsibility and community commitment, to maintain order and keep peace among residents of the area. The Chief of Police of Bonifay, Chris Wells, started with the department in 2009 and has made many improvements since taking the position. The officers have obtained better equipment and uniforms and several safety campaigns have been implemented to assist and empower the community. This City-Data resource presents invaluable information about average home sale values, ethnic breakdowns, political trends, income distribution, and other demographic data. It also provides a closer look into reported violent crimes and theft crimes in the past decade in the community. If you’ve been accused of a crime or need legal guidance in an administrative matter such as an early termination of probation or a protective order hearing, contact Pumphrey Law. It’s critical to contact an attorney as early in this process as possible since it can help in gathering time-sensitive evidence and testimony. We also make it a priority to help clients understand the Florida trial process, the charges they face, and available defense strategies during their free consultation. Call Pumphrey Law to begin taking these important first steps towards safeguarding your future.